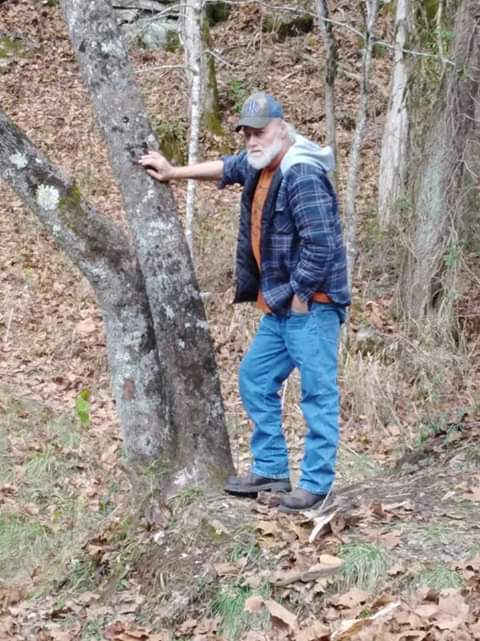 David Dewayne Jones, age 53 years, of Whitley City, Kentucky died Tuesday, December 4, 2018 at the Lake Cumberland Regional Hospital in Somerset, Kentucky. He was born in Somerset, Kentucky on March 16, 1965 the son of Alex Lonzo and Hazel Marie (Ridener) Jones. David was a logger and railroad cook. He enjoyed camping, hunting, fishing, playing pool, dancing, and loved to fight. He is preceded in death by his parents; his wife, Lillian Yvonna (Hamlin) Jones; brothers, Roy Jones, Donald Jones, and Ronnie Jones; sisters, Louise Rose, Lena Jones, and Amanda Sue Jones; and granddaughters, Matilyn Evonna Jones and Jaide Jones. Survivors include his son, Matthew Estes Jones (Lisa Beth) of Eubank; daughters, Brittany Lashae Ruth Ward (Ryan) of Lafollette, Tennessee, Hayley Yvonna Faith Jones of Eubank, and Beth Nicole Hamlin of Lafollette; brothers, Harold Jones (Judy) and William Jones (Jannie) both of Parkers Lake, and Alex “Honk” Jones (Fay) of Whitley City; grandchildren Kyra and Zach Day, Brylyn Hamlin, Annabella Ward, Avanna Jones, Zachery, Liam, and Faeden Heath; and great grandchild, Brynlee Day and 1 on the way. Funeral services will be held Saturday, December 8, 2018 at 12pm in the McCreary County Funeral Home. Burial to follow in the Taylor Ridge Cemetery. The family will receive friends after 11am Saturday at the funeral home.